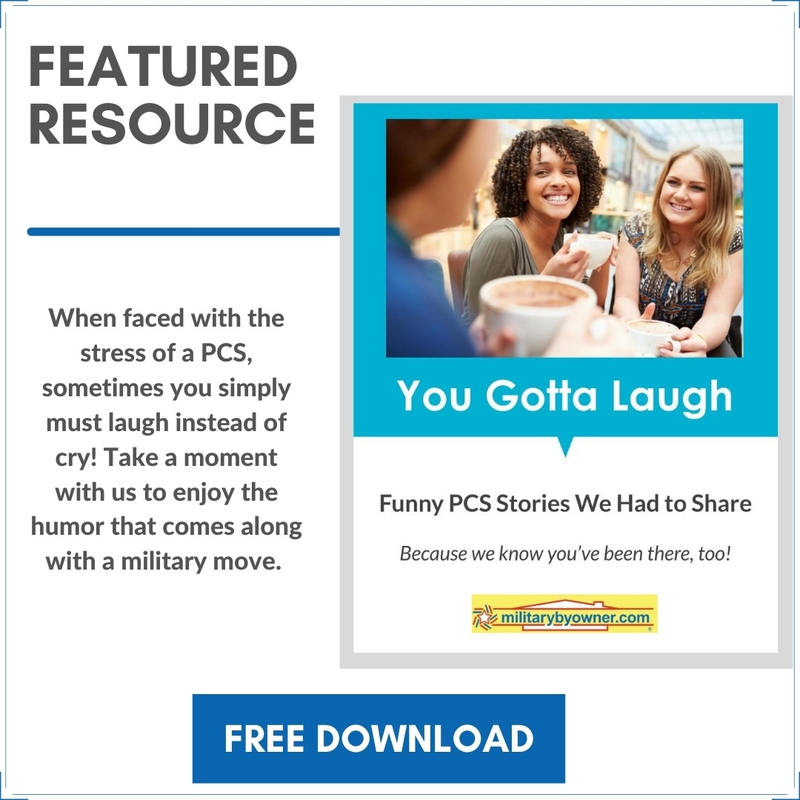 You've PCS'd countless times with the military, so you consider yourself a pro. Or, maybe it's your first move! 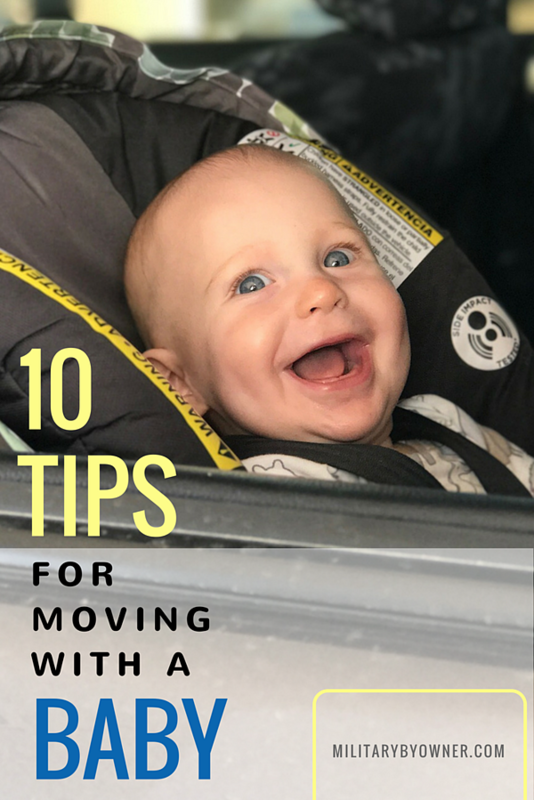 If you have a little munchkin in tow, there are a few things you need to consider before you start this move. There are some challenges you'll encounter this time around. Expect it to be difficult, expect hiccups...and then follow these tips to make sure you make it to your new duty station with your sanity intact! 1. Don't pack too early. Whether you're doing a cross-country DITY move or the movers are scheduled to come, don't set aside your baby's things until closer to your move date, maybe even the morning of, especially if you have professional movers coming. You'll have plenty of time to navigate life without your baby's stuff on the backside, without needing to add the extra pressure before the move. 2. Either leave the house or find childcare when movers come. If you have movers coming, grab the dogs and the baby and get out of the house while your spouse handles the packing portion of the move. If your baby is mobile, they'll have a hard time sitting still. They'll likely add unnecessary stress to the situation and potentially slow the process. Use the time to say a few goodbyes and meet your friends at a park. If you're handling the move alone, take up friends' offers of childcare or utilize the drop-in option at your base's CDC. 3. Secure immunization card, passport, and other important documents. You should already have your baby's documents together, but you'll want to secure it in a PCS binder that'll you'll be traveling with. Whether that's a taped off closet or a large purse you'll be traveling with is up to you; just make sure those items don't get packed. 4. Pack lots of snacks, diapers, and clothes. Babies are messy--end of story. Anticipate blowouts and pack an absurd amount of diapers and extra clothing for your travel. Altitude can disturb your baby's digestive system and may cause a need for extra diaper changes. If you're taking a road trip, expect your baby to make a mess with their snacks in the car seat and have clothes on hand to keep them dry and clean! 5. Buy them a new toy. Even if they have plenty of toys around the house, buy them that new, fun toy that you know they'll love. Give it to them when they're settled into their car seat or once you're seated on the plane. If you're driving to your next duty station, hold your baby's attention with a mirror! I know, it sounds impossible, right? Nothing's consistent when you're in the middle of a PCS move! You're sleeping in unfamiliar places, spending days traveling, and maybe even undergoing a time change. Even the most minor of time changes can affect babies in a big way. All that said, try to maintain some semblance of a normal routine. Don't expect the times to be the same, but keep the same series of events. At bedtime, for example, give them dinner, bathe them, read them a book, then lay them down for the night--or whatever your normal bedtime routine is. Don't expect it to go seamlessly, though. They will probably eat differently and fight sleep more than normal. But the more consistent you remain, the quicker they should feel settled. 7. Call Tricare and transfer to a new PCM. As much as you don't want to hear this, there's a good possibility that your baby will get sick during a move. This isn't a reflection of your inability to protect your child as much as it is a simple consequence of a change in sleep, traveling, and exposure to new environments. Call Tricare and transfer your baby's PCM as soon as you can so that you have a doctor to take them to. Having said that, urgent care and the ER are options for more immediate medical needs during travel. Once you get into your new home, baby-proof immediately, not just for your baby's safety, but also for your sanity. Knowing that the home is safe for your little one to roam about with some independence will allow you the freedom to get stuff done around the house. If you have friends in the area, don't hesitate to accept their offer of help. Whether it's letting them watch the baby for a few hours, helping pack or unpack, or simply hosting dinner, let them help you. Traveling with a baby isn't fun. There's no sugar coating it! Some babies do better than others, but no mobile baby likes to be confined. So whether you're traveling by plane or by car, you can expect your baby to object. And since you can't reason with a baby and explain what's happening, the best thing you can do is make sure all their needs are met. Check their diaper, make sure they have a full belly, dry clothes, and a pacifier or toy. After that, you may have to let them cry. If you're driving, suppress the urge to stop every time your baby is upset, or you'll never make it to your destination. If you're flying, when it's safe, get up and walk around with baby if they're inconsolable. If they're young enough, swaddle them and help them sleep if you can. Moving isn't fun without an extra dependent, and (spoiler alert) it's not any more fun with one. You're going to face new challenges, but with the help of these tips, you should feel a sense of pride and accomplishment when you're all settled into your next home! Are you a PCS-with-a-baby pro? Share a tip that's worked for you! Note: image is of Danielle's own happy baby on their last PCS trip!